Balancing the feng shui in your home can be a wonderful way to renew yourself at the start of a season, declutter when you find yourself stressed, and maximize the way you use available space in your house. To see success, it is best to get to know the practice a bit better. 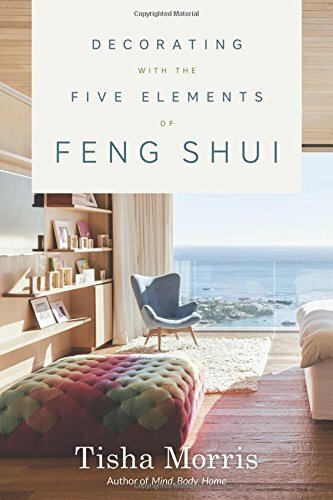 Of all the different approaches one can take to feng shui, understanding the role of the five elements in the process can be a huge help. Before you can fully take advantage of this practice, you might want to examine the details of the elements and learn how to incorporate each into your space in a balanced way. 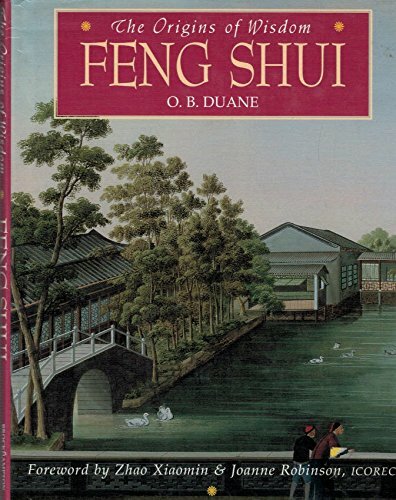 Tracing back the origins of feng shui can prove to be challenging. Though the practice has been around for thousands of years, pinpointing the exact time when it began is hard. Academics around the world have spent years researching its origins and have uncovered some fascinating details. Though the elements are currently a dominating force for how feng shui works, scholars now believe the earliest practitioners of this art originally focused more on the placement of celestial bodies and other astronomical movements. The Chinese are one of a number of ancient civilizations that believed buildings and other important structures should align with the stars, moon, and constellations. Like the Mayans and Egyptians, the spiritually minded of China put in a great deal of effort in regards to where palaces and temples would be situated. Though astronomy does not hold as big of a role in modern feng shui, it helps to uncover how this practice came into existence in the first place. In fact, many of the modern techniques come from far older ideas. Direction has always played a big part in feng shui, specifically in regards to which direction structures are facing. This makes total sense when arranging a space because it can help to determine where windows, doors, and archways will best catch or block the light as the sun makes its way across the sky. Since the practice predates the invention of the compass, the original practitioners used astronomy and other scientific schools of thought to determine direction. Though the stars might not play as big a part in feng shui nowadays, focusing on direction is still crucial. Beyond direction and placement, feng shui is all about incorporating a balance of the five elements into a home. Each element plays a critical part in helping a space achieve the maximum flow of chi. 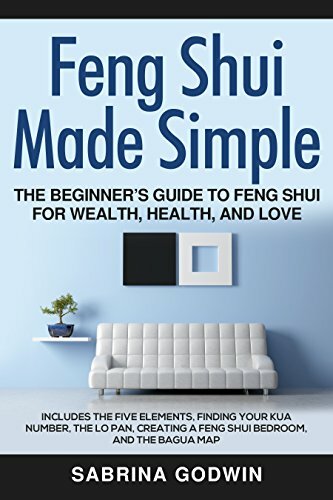 Though there are several different approaches one can take in regards to feng shui, some require more work than others. One of the core tenets of modern feng shui is ensuring the incorporation of the elements into the design and layout of a space. Though elements can vary from culture to culture, the five associated with the natural rhythms of the planet in Chinese culture are wood, fire, earth, metal, and water. The idea is to have all five of these elements balanced within a home in order to promote the right flow of chi. Each of the five feng shui elements is said to represent different aspects of being alive and interacting with chi. Get a better understanding by taking a brief look at how each element works within a home. The natural world is a great place to look for inspiration. A tree can easily act as a living metaphor for perseverance and constantly reaching for greatness. It shouldn’t be surprising that the element of wood plays a big part in feng shui. Wood represents natural growth, meaning growth that occurs from the passage of time rather than due to external factors. Just as a tree stands silently for generations, providing so much to so many species, so does wood represent benevolence within the home. Wood can also embody health. When one puts in a lot of effort to include a lot of wood within a home in a balanced manner, it is meant to promote a natural flow of wellness to the body as well as to the spirit. Common wood elements in a home can be anything from furniture to figurines to accessories. Everything has a place within a home. While fire might not be something you want to run rampant in your residence, almost all people include this element in their spaces in some capacity. In feng shui, the element of fire represents propriety, or an appropriateness of purpose. When one sees a fire burning in a fireplace, for example, it is easy to understand the purpose of the fire. Not surprisingly, fire also represents passion and increased energy levels. Due to this, artists and creative thinkers often include the element of fire quite prominently in their homes. Fire can be a tricky element to incorporate into a home, but there are some straightforward ways to make it happen. Some common fire elements in a house can include a fireplace, candles, or even incense slowly burning in a tray. Stability is important in life, beginning with the ground beneath your feet. In order to trust in yourself and your environment, you need to feel a sense of comfort. The element of earth is meant to represent this stability, and balancing it within a home helps to promote grounding yourself in a more spiritual manner. Infusing this element into a space is also a way to help encourage honesty and fidelity. Relationships and homes require strong foundations in order to stand the many tests of time. Earth can also represent the endless quest for knowledge through academic pursuits. In most cases, using earth elements in a home comes down to selecting some very specific pieces. Clay pots, slick river stones, and healing crystals are all common sights in a space looking to balance the earth element. Though it might be found within the earth, the element of metal is quite different in how it acts and what it represents. Often formed in hot or high-pressure situations, metal perfectly represents both strength and independence. Since human beings are one of the only species to learn to use metal in an advantageous way with tools and weapons, the element has also been associated with righteousness over the years. Though you probably aren’t going to be riding your noble steed in the name of justice and brandishing a sword of fine metals anytime soon, you can still easily make the element of metal work in your home. Often, people infuse metal into their spaces by incorporating a wide range of items such as silver candlesticks, brass picture frames, or a cast-iron cooking pan. Finally, the element of water helps to perfectly represent fluidity and its importance in life. Water must continuously move to stay fresh and viable. When a home is balanced with water elements, it promotes acceptance for the constant movement of life and how one must learn to move with the current from time to time. Water also represents wisdom and abundance, which makes infusing this element into a home perfect for students, academics, or anyone who is looking to have his or her proverbial cup runneth over. Since most homes have access to fresh water these days, there are already several key areas of your space that embody the element of water. To take things to the next level, it can be a good idea to incorporate vases of fresh flowers, working fountains, or a small fish tank. Incorporating all five elements into your home is an excellent first step with feng shui. Once you have gotten a feel for what items you would like to use to represent each element, you will be ready to explore how to begin arranging the objects in your space. Be creative in how you embody each element within your home, and you are going to get a lot more enjoyment out of the process. Balancing your home through feng shui can be a wonderful way to feel renewed about your life. To fully take advantage of the practice, it is wise to inform yourself about several different areas. Though the elements were discussed here, take a bit of time to research how direction plays into where you place the items that represent each element and how well you balance each element. Having too many fire elements in one corner of your home, for example, might not have the same impact as using another corner. In the end, feng shui is all about balance. Finding the correct balance might involve a bit of trial and error. Consulting with professional designers or feng shui artists may guide you toward some creative approaches you have not yet considered. Take your time and look at images of home interiors on the internet to fuel your inspiration and discover a wealth of possibilities for your space. Before you know it, you’ll feel the energy of the universe flowing through your home.